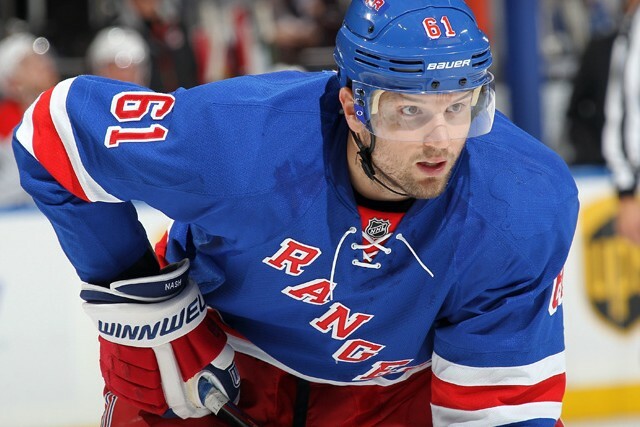 Rumors of Rick Nash being on the New York Rangers’ trading block have quieted down significantly since the beginning of the offseason. After all, it is rare for a team’s leading regular-season scorer (who also finished third overall in the NHL in goals) to be involved in trade speculation. However, given the circumstances, Rick Nash should be the exception. With his value most likely at an all-time high given his stellar performance in the regular season, this could very well be the perfect time for newly-designated general manager Jeff Gorton to pull the trigger. Gorton was able to step in and effectively manage a cap-straddled Rangers club. Re-signing Etem, Miller and Fast to reasonable deals all for under $1 million, avoiding arbitration and signing Stepan to a long-term deal, replacing Talbot with a promising Raanta and taking low-risk chances on Stalberg and Stoll were all strong moves; re-signing prospect Oscar Lindberg, who will compete for a roster spot in training camp, and bringing Diaz back to New York to replace Hunwick as the seventh defenseman were also solid decisions. Though the Rangers will greatly miss Hagelin’s speed, penalty killing and elevated play in the playoffs, players like Stoll, Stalberg and Etem may thrive with the change of scenery, and Stoll’s faceoff ability is something the Rangers have desperately needed over the past few seasons. 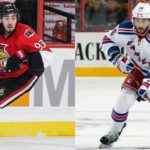 Since coach Alain Vigneault seemed unwilling to give Hagelin top-6 minutes, getting a promising bottom-6 forward in Etem who brings grit to the Rangers lineup, as well as saving cap space for next year’s free agents (including winger Chris Kreider and center Kevin Hayes, among others) makes a lot of sense. Though having Hayes, Miller and Fast with another NHL season under their belts, getting Mats Zuccarello back from a frightening injury suffered at the end of the first round of the playoffs and bringing in Stoll (a two-time Stanley Cup champion) will certainly contribute to the Rangers’ continued success in the regular season, it remains to be seen whether all of these new pieces can add up to form a stronger, more cohesive playoff unit than the one that competed this year. That being said, one familiar face will continue to hold the team back and thwart its pursuit of the Stanley Cup, if not in the regular season then certainly once again in the playoffs: that face belongs to Rick Nash. Nash had a great regular season with the Rangers in the 2014-2015 season. He led the Rangers in goals (42) and points (69), with 18 power-play points, four short-handed goals, eight game-winning goals, a 13.8 shooting percentage and a team-leading +29 plus/minus rating. He played with a level of confidence he had not yet exhibited in a Rangers jersey. To his credit, Nash did have a few key goals in this year’s playoffs, including a third-period tally against Washington in game 6 of the second-round series, as well as two goals (1, 2) against Tampa Bay in game 4 to tie the Eastern Conference Final series at 2-2. Though the Rangers were eliminated by Tampa Bay in game 7 of the Conference Final, Nash finished with 14 playoff points (5 goals and 9 assists), good enough for a 4-way tie for 15th overall in total playoff points. Nash showed some improvement compared to his 10-point playoff performance in 2014 (good enough for a 12-way tie for 34th overall) when the Rangers played 25 playoff games and eventually lost to Los Angeles in game 5 of the Stanley Cup Final. Fourteen points in 19 games is certainly more impressive than 10 points in 25 games. However, it is difficult to justify Nash’s $7.8 million cap hit for a player who scores 42 goals in the regular season, behind only Alex Ovechkin (53) and Steven Stamkos (43), and then has a mediocre playoff performance as a follow-up to an inexcusably-miserable performance in the 2014 postseason. It would be one thing if Nash simply wasn’t able to come up big in critical games, but it is another thing entirely that a player making nearly $8 million a year has failed to play a consistent, significant role in any playoff series in any of the past three seasons since he was acquired by the Rangers in the summer of 2012. When you compare Nash’s numbers to those of other high-paid, high-profile players around the league, it makes you wonder why the Rangers would possibly want Nash to return to New York this season. In order to demonstrate such a comparison, Charts 1-3 (below) examine the number of playoff games played and playoff point totals from the past three postseasons of the players with the 20 highest cap hits in the league; note: goaltenders Henrik Lundqvist ($8.5 million) and Sergei Bobrovsky ($7.425 million) were removed from consideration. Of the 20 players with the highest cap hits, ranging from $10.5 million (Jonathan Toews, Patrick Kane) to $7.25 million (Kris Letang), 16 of them are forwards and 4 of them are defensemen. It’s important to note that Eric Staal has not competed in any of the last three postseasons, and four players have only competed in the playoffs in one of the last three seasons (Claude Giroux, Phil Kessel, Shea Weber and Jason Spezza). 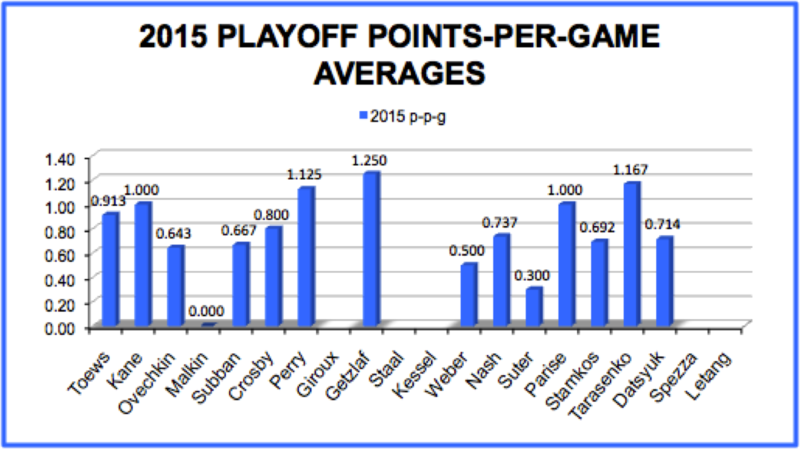 Chart 1 (below) shows the 2015 playoff points-per-game averages of players with cap hits comparable to Nash’s. Nash’s points-per-game average for the 2015 postseason was 0.737 (14 points in 19 games), which ranks 8th out of 15 (Giroux, Staal, Kessel, Spezza and Letang did not compete in this year’s playoffs). Patrick Kane, Corey Perry, Ryan Getzlaf, Zach Parise and Vladimir Tarasenko all finished on at least a point-per-game basis for this year’s playoffs, whereas Evgeni Malkin (who scored zero points in five games against the Rangers), Ryan Suter (a defensive defenseman who scored three points in 10 games) and Shea Weber (a defenseman who only played in two playoff games this postseason after sustaining an injury) round out the bottom of the list. Players like Alexander Ovechkin, P.K. Subban, Sidney Crosby, Steven Stamkos and Pavel Datsyuk finished with similar numbers as Nash, though only Stamkos played as many games as Nash. Again, fourteen points in 19 games is certainly Nash’s best playoff production ever, but the impact Nash had on each series was minimal. You could count on one hand how many times Nash had the puck and seemed like a true threat in the playoffs this year, and as a supposed “elite sniper” in this league, Nash certainly didn’t play like one. Chart 2 (below) shows the same statistics as Chart 1, except the numbers are from the 2014 playoffs. Nash finished with 10 points in 25 games for a points-per-game average of 0.4, which places him dead last out of the 15 players that competed. Only one other player finished with a points-per-game average below 0.5 (Letang, a defenseman, 0.462), and only one other player (Suter, also a defenseman) was within 0.2 of Nash’s 0.4 average (Suter finished with seven points in 13 games for a 0.538 points-per-game average). This was the postseason when the Rangers reached the Stanley Cup Final after rallying around the tragic passing of Martin St. Louis’ mother and overcoming a 3-1 deficit against Pittsburgh in the second round before defeating Montreal in six games in the Conference Final to advance to the Stanley Cup Final. Of Nash’s 10 points in the 2014 playoffs, only three of them were goals, the first one coming in game 15 of the playoffs in which the Rangers beat Montreal 7-2; not surprisingly, Nash’s goal was the seventh goal of the contest, making it completely irrelevant in the victory. Nash went on to score in games 2 and 5 against Montreal but failed to convert once in the entire Stanley Cup Final against the Kings. 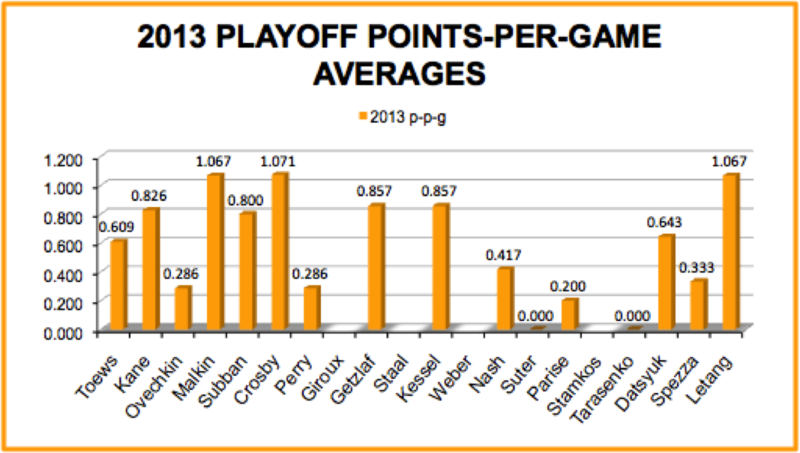 Chart 3 (below) represents the points-per-game averages for the 2013 playoffs, in which Nash scored five points in 12 games. 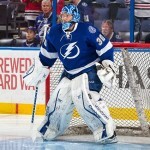 Of those five points, only one was a goal, which was scored in game 2 of the second round against Boston (a 5-2 loss). A few players were less productive than Nash, including Suter and Tarasenko, who finished the 2013 playoffs with zero points (though Tarasenko only played one game). Parise scored one point in five games, Ovechkin and Perry each had two points in seven games and Spezza had one point in three games. Nash finished with the next-lowest points-per-game average (0.417), which ranked 10th out of 16. Chart 4 (below) shows data only from forwards who competed in at least five games in each of the three playoff years (2015 in blue, 2014 in green and 2013 in orange). Subban and Suter were removed from this data analysis because they are defensemen, as was Tarasenko because he only played one game in the 2013 playoffs. This crop of players (Toews, Kane, Malkin, Crosby, Perry, Getzlaf, Nash, Parise and Datsyuk) contains many of the most elite players in the league who are paid to perform in the regular season and in the playoffs. Based on the data from 2013-2015 (orange, green, blue, respectively), Nash is the only player that never reached a points-per-game average of 0.8 in any of the three postseasons. He is also one of only two players that never reached a point-per-game scoring pace, the other player being Jonathan Toews, who finished with an average of 0.913 in 2015, 0.895 in 2014 and 0.609 in 2013. However, Toews has led his team to two Stanley Cup victories in the past three years. 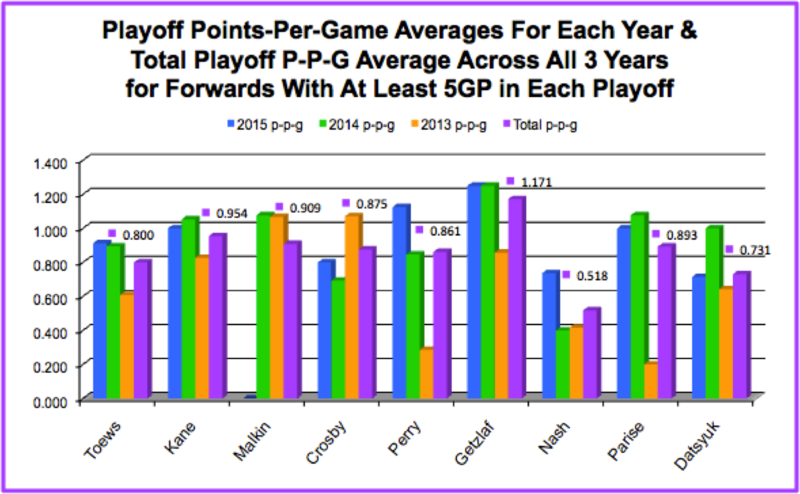 Chart 4 also includes a fourth data value, shown in purple, which represents the total points-per-game average across all three playoff years (total points scored in 2013, 2014 and 2015 divided by the total number of games played in 2013, 2014 and 2015). As the purple data shows, Nash’s total points-per-game average for all three playoff years combined (0.518) is by far the lowest number of the group. The second lowest number, which is more than 0.2 above Nash’s 0.518, belongs to Datsyuk, who has a 0.731 average (19 points in 26 games over the past three years). Interestingly, the only two players on this list who have played in more playoff games than Nash (56) over the past three postseasons are Toews (65) and Kane (65), who have won two Stanley Cups in the past three years. In fact, after Nash, the next highest total number of games belongs to Perry, who has played in 20 fewer playoff games than Nash over the past three years and has a points-per-game average of 0.86 in those 36 games. The player with the next highest games-played total is Getzlaf, Perry’s linemate, who has a 1.17 points-per-game average with 41 points scored in 35 playoff games over the past three years. Of Nash’s 29 points in 56 games, nine of them were goals. Nine. For a so-called sniper, scoring 9 goals in 56 playoff games spanning three postseasons doesn’t scream superstar. Unfortunately for the Rangers (past, present and future), Nash is getting paid superstar dollars. When you go from leading your team in points and being a dominant goal-scorer during the regular season to being an average, inconsistent-at-best performer in the playoffs, the $7.8 million stands out a lot. Obviously, the cap hit is not the only thing or even the most important thing that matters when you evaluate a player’s value to a particular team. The main reason why it is especially significant in Nash’s case is because he simply does not perform anywhere near the necessary level for that kind of money, especially compared to the other NHL players with similar cap hits, and especially considering the Rangers will continue to face cap issues over the next few seasons. Beyond that, though, the true superstar on the New York Rangers is Henrik Lundqvist, who will be 34 by the time the 2016 playoffs begin. How can the Rangers’ management be content with this type of production from Nash when Lundqvist’s window is slowly closing? The Rangers took one step back this season by failing to reach the Stanley Cup Final, and have so far taken another step back this offseason by failing to address the Nash situation. Even if the Rangers wanted to give Nash yet another chance, the cap-conscious moves that have been made thus far this offseason will not translate on the ice in a significant-enough way to make up for Nash’s shortcomings. Many would say that Nash is judged too harshly because he does all the little things that don’t always show up on the scoresheet, and that point production isn’t everything. Even if the Rangers didn’t actually sign his current contract (Nash signed this deal with Columbus, his former team), he is on the team to produce. He makes nearly $8 million to produce. Yes, Nash is a good 2-way player who is responsible in all three zones, but he is on the team to use his size, speed, strength and skill to score goals in the playoffs, something he simply has not done. Nine goals in 56 playoff games is not even close to the type of production Nash needs to come up with in order to even attempt to justify his cap hit and his place on this team. Did he score goals this year in the playoffs? Yes, and he even went so far as to score a few meaningful ones. Did he play well defensively? Yes. Was he the offensive presence and lethal threat he is supposed to be on every shift? No. Was he a difference maker, or more appropriately the difference maker, he is paid and expected to be? Absolutely not. When it comes down to it, Nash’s regular season accomplishments are relatively entirely meaningless. The Rangers struggled to score in all three rounds of the playoffs this year. 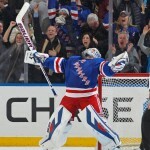 All of the Rangers’ eight wins in the first two rounds were 1-goal games, six of which were 2-1 wins. The Rangers scored two or fewer goals in 13 out of 19 playoff games, including getting shut out three times (once by Washington and twice in the final THREE games of the Conference Final against Tampa Bay). Where was Rick Nash, the producer, the goal-scorer, the superstar? Nowhere. In the end, the Rangers failed to win the Stanley Cup. When you have arguably the best goalie in the league in Lundqvist who, again, will be 34 by the time the playoffs start next year, it only matters how you perform in the playoffs, when it really counts. When you think about Nash’s contribution and value to the Rangers’ chances of winning the Cup, it’s not nearly enough..not at all. 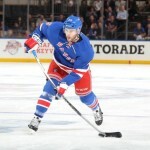 It remains to be seen whether Gorton and the Rangers will make a big splash and pull the trigger on a Nash trade. The time to do so is fading quickly. It can certainly be done, as the even-more-cap-straddled Pittsburgh Penguins demonstrated by acquiring $7 million of Phil Kessel’s $8 million cap hit. In an offseason when the Rangers have had pieces to move and options on the table, it has been considerably quiet. Too quiet. Gorton has definitely come in and done a sound job managing a difficult cap situation, but the Rangers have been and must continue to be in a win-now mentality. 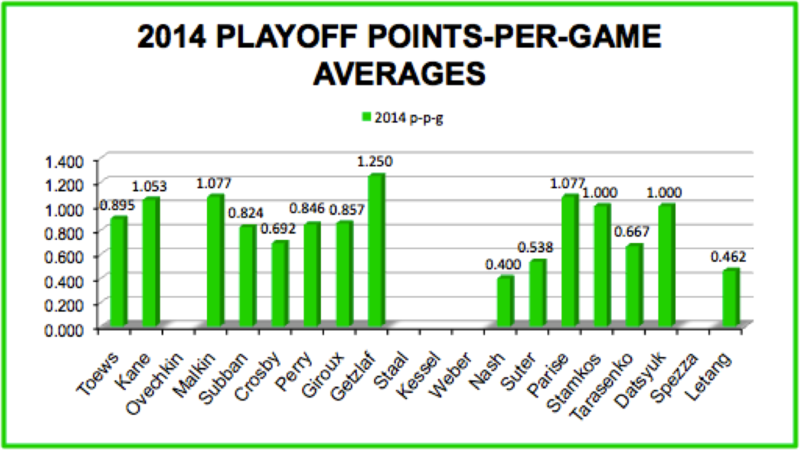 It’s clear that Nash is not a winner, and the Rangers have not been able to win as a result of Nash’s contributions. It’s time for the Rangers to move on. There is plenty of skill in the NHL, and whatever Rick Nash is supposed to be on paper, he has not been and will not be where it matters: on the ice. He has been given plenty of chances but has been unable to take advantage of them. He will not be missed come playoff time. The clock is ticking, New York…what are going to do about it?